Bathed in beautiful Mediterranean sunshine, Javea’s beaches are legendary and continue to draw more tourists with each year. This is particularly true with the British, who discovered long ago what a wonderful holiday spot Spain makes. With over 25km of coastline, Javea houses many mysterious beaches and coves. The most popular ones to visit include: La Grava, El Arenal, Cala Blanca, La Barraca or Portitxol, Ambol and La Granadella. Natives and tourists enjoy Javea’s beaches for their cleanliness and gentle slope into the water. Not only has the World Health Organization labeled Javea as one of the best climates in the world, they have also taken notice of the beaches’ near-perfection. Unlike many popular beaches in the US and Europe, one will find the sand free of trash and litter. This makes for a pleasant stay and a family-friendly environment. In addition to calm and predictable weather, those enjoying a beach in Javea will notice the modern amenities that accompany it. Public toilets and outdoor showers help visitors maintain a clean and comfortable day at the beach. 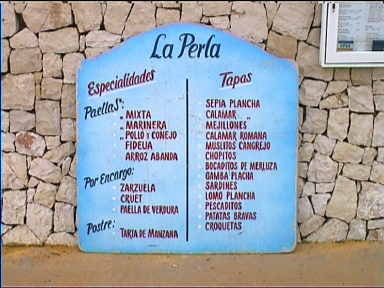 Many eateries and bars line the beaches in Javea, Spain. This is very convenient for those who don’t wish to pack up and leave the beach for refreshments or a meal. There are many different options available for varying preferences and budgets. More populated areas of the Javea coastline will feature live bands in the evening and, as always, there is often some cultural items of interest for tourists to take note of. When one decides to move to Javea, one will find there is always something interesting waiting around every corner. Many activities are enjoyed in the ocean waters of Javea, including fishing, sailing and scuba diving. The diversity of Javea’s marine life lends itself nicely to those who wish to snorkel or scuba dive. In fact, photographers and marine biologists from all over the world travel to Javea for an up close encounter with its beautiful sea creatures. No matter what a traveler is looking for in a beach, one will find it in Javea, plus so much more.